We left my mom’s house on April 15th and started to head north not really knowing what there was to see or do along most of our route. Our niece’s wedding was scheduled for early July in Wisconsin and we had a lot of highway to cover. The midwest was as foreign to us as the moon so we kept our fingers crossed and hoped for the best. So imagine our surprise when this is where we ended up for our first stop. 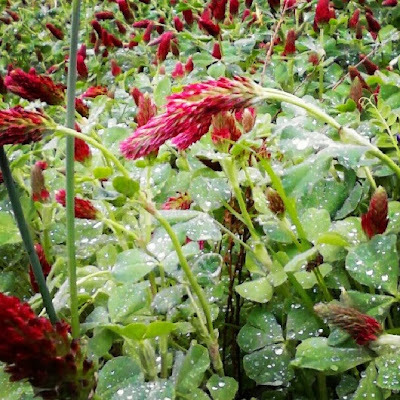 Red clover in bloom everywhere! Lake Allatoona near Canton,Georgia was the perfect juxtaposition to the suburban box stores and chain restaurants of Montgomery, AL. 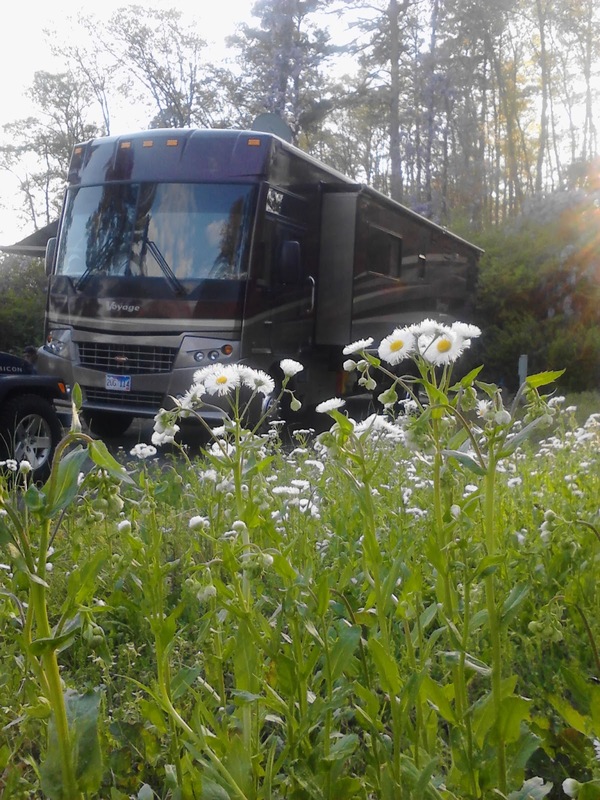 Sweetwater, an Army Corp of Engineers campground, features spacious campsites suitable for any length RV (with pads from 23 feet to 75 feet). Quite a few are waterfront and all are within a very short walk to the water’s edge. Best of all, the wisteria was in bloom. And at $20-$22 per night (w/e) it was clearly a top pick for us in 2013. 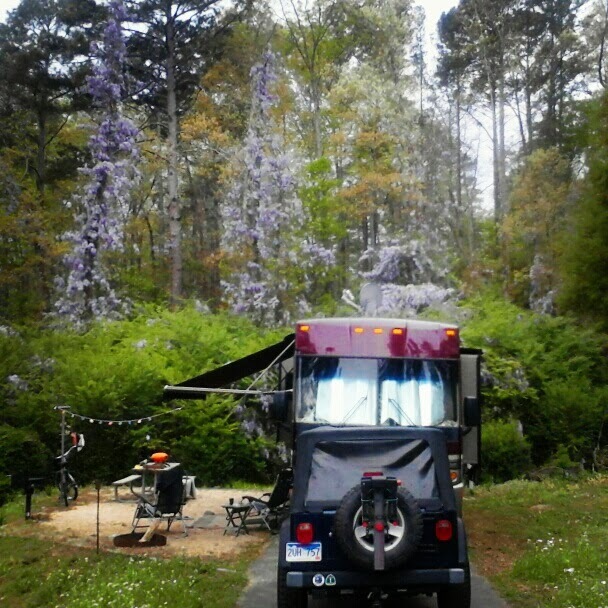 Surrounded by wisteria (btw our pad could have easily held another full size vehicle…it was THAT big). 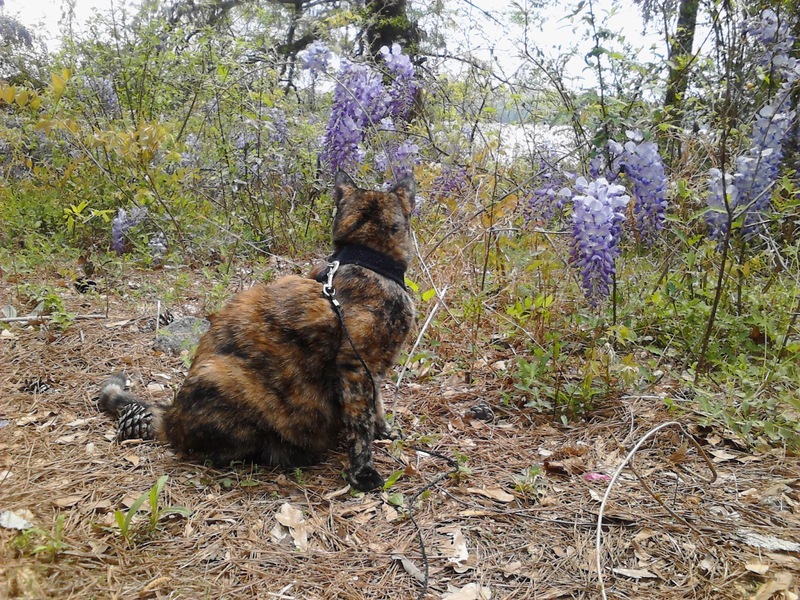 Miso out smelling the flowers. 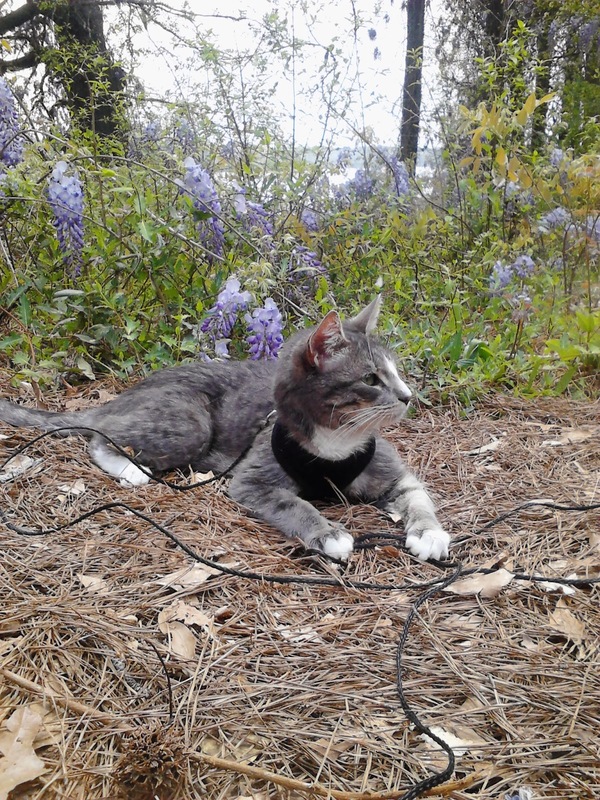 Avi was distracted by the birds. We spent most of that week doing absolutely nothing except enjoying the surroundings, taking walks and bike rides through the park and visiting one of Clark’s friends who lived about 5 miles down the road. Adding to our National Parks Passport. After a week of breathing in the sweetness of wisteria we moved on to Chattanooga, TN for a few days and arriving at our quirky campground (a surprisingly cool KOA called Lookout Mountain) I realized we should have allowed for more time to explore the area (we already had reservations in Nashville). 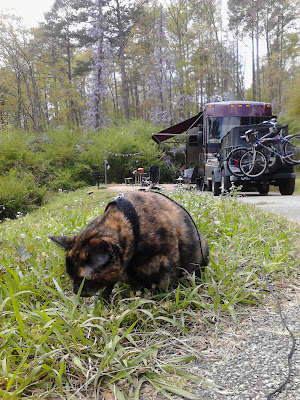 One of the problems with not having wifi the majority of the time (even if the campground claims to have wifi…free or paid…we’ve found it mostly inadequate) is that you can’t research those spontaneous stops. 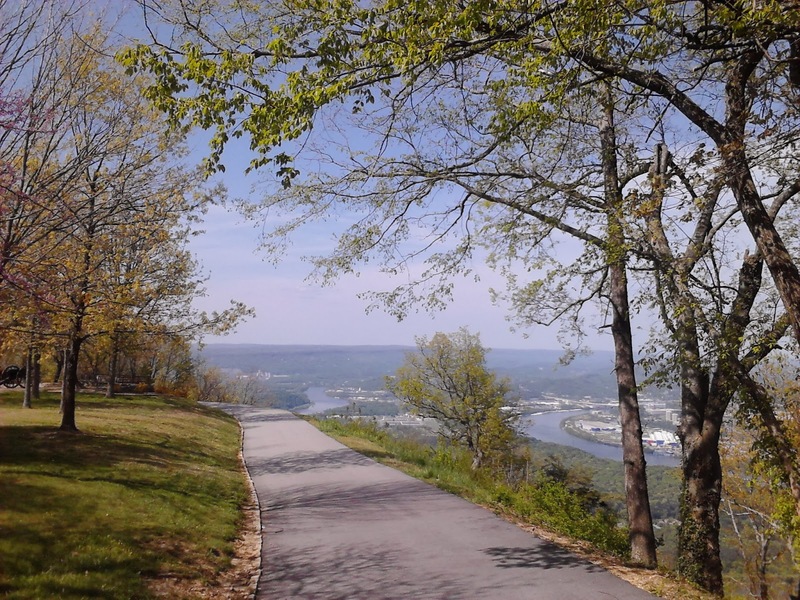 Chattanooga is one of those places that doesn’t really feel like a city but more like a small town with lots of local bars, restaurants and friendly people. Although our campground was only a few miles outside of the city limits it seemed a world away (in a good way) surrounded by green foothills, grazing horses, foggy mountain tops and a wide, meandering river that wove it’s way across the land. 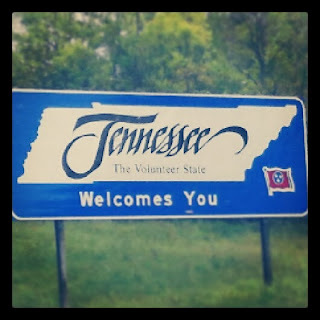 Why not stop in a British Pub in Tennessee? 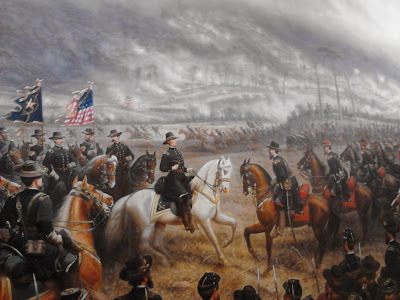 The Battle Above the Clouds on Lookout Mountain, arguably THE turning point of the Civil War, was fought here, as well as the Missionary Ridge Battle. (I say arguably because since then, every single Civil War battlefield we’ve been to has made the same claim.) The battle grounds are a somber reminder of another time this country’s history in which it’s citizens were divided (hopefully a lesson learned) and offer some spectacular 360 degree views of the area (I think in one spot you can see 7 states). They’re aren’t joking when they say “low bridge”. Part of a huge mural depicting the Battle Above the Clouds, located in Point Park. 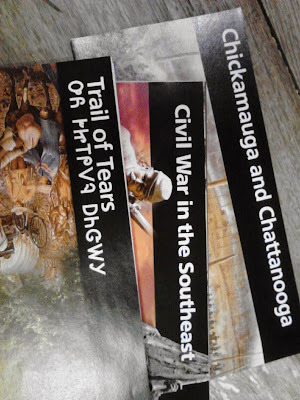 It was Chattanooga…and specifically Lookout Mountain, that prompted me to try to incorporate “literary” landmarks into to our travels. While I had been referencing certain texts, like America by Charles Kuralt, to help research cool cities and towns, I had not thought about looking at real places in some of my favorite fiction books…one of them being American Gods by Neil Gaiman. If you haven’t read it yet it’s a hoot (as is anything by Gaiman). He has a way of writing about certain controversial topics without being completely offensive. Of course, I’m pretty open-minded but I find his books hilarious and engaging. 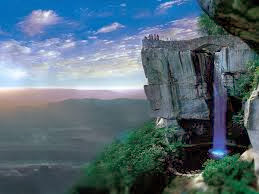 Anyway, without giving too much away, Rock City…an interesting tourist attraction on top of Lookout Mountain, was the setting for a ‘battle’ amongst the characters in American Gods. You’re ready to pack your bags and book your trip, aren’t you? On a side note, we also made a point to visit The House on the Rock in Wisconsin…another real location in the fictional book American Gods. It truly isn’t to be missed. Another good one!! Keep 'em comin'! Neil Gaiman! I was not prepared for a literary tour of the US. Just finished his Stardust while I was at Cedar Key. You have good taste! Thanks Betsy! I'll be "working" hard to get at least a little caught up. You should send this entry to the Consumerist blog, and definitely to the Better Business Bureau.